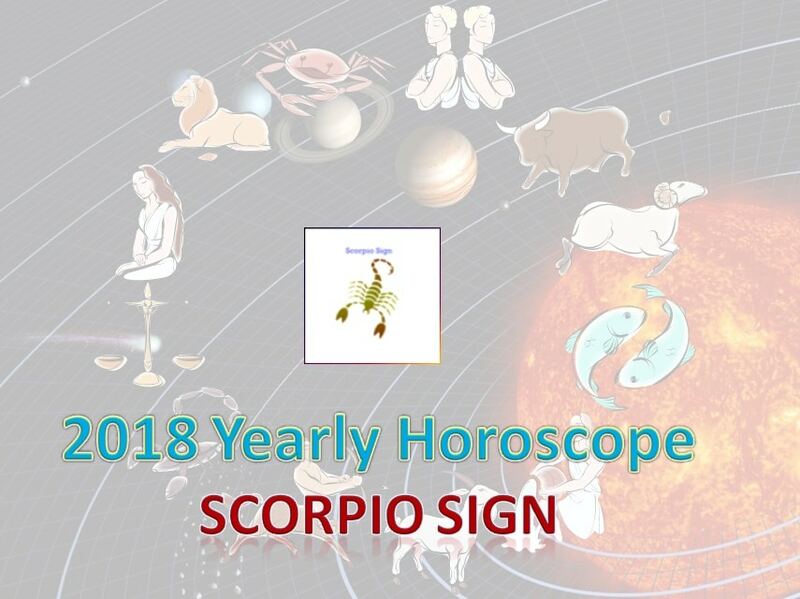 At beginning of the year 2018, planet Saturn is in Sagittarius sign (2nd house for Scorpio sign) and Jupiter is placed in 12th house. For the past five years you had been under the influence of the Sade Sani (Elarai Sani). Nothing good ever happened during this period. You were struggling with your business, career and every aspect of your life. For the Scorpio Moon Sign, the constellations (Nakshatras) Vishakam, Anusham would have seen their difficulties reducing gradually. The Kettai Nakshatra is still under the loud of Lord Saturn. Hence even though your problems seem to have disappeared, they will go away completely only after some time. So for now you will still be stuck in the rut. As the year 2018 progresses, you will see all this changing for the better. Scorpios should not lose heart as they are nearing the end of these blighting times. As Jenma Sani is over for you, you will not have any new problems in your future. By the end of the year 2018, you can see for sure your problems disappearing completely. Whatever troubles the Scorpio youngsters had been facing for the past few years, they will start reducing from now. The latter half of this year will bring in marriage for some of you. For a few, marriage with the person of your dreams will happen at the start of this year. From this year, your financial situation will improve and cash flow will be good. Those who could not get married till now due to various reasons like having no elderly persons to take care of that matter, being the eldest with responsibilities and such will receive good news by this October, 2018. Childless couples will be blessed with children. The dreams and hopes you had nurtured for long will be realized. Your thoughts and feelings will be clear and fresh. Those suffering from ailments can see improvement. Differences of opinion between couples will be resolved amicably. Your spouse will provide material comforts, support and adjust with you. Those who are under court cases can see the situation turning around and bringing everything to a favourable conclusion. Women will buy jewellery like neck ornaments. The unmarried women will get thali while others will buy jewellery. Working women have a very favourable time ahead. You will get great opportunities to showcase your talents and will be appreciated at your work place. Those who were suffering from unemployment can obtain jobs befitting their education with good salary. Those who were unable to expand their business due to lack of funds can do so now as money for investment will flow into their hands. The promotions and pay hikes that were delayed will be given now to the professionals. Your income will be good. Foreign business will be highly profitable for you. Students can fly overseas for their education. Those seeking jobs abroad will land those projects for short-term. Those who had applied for visa will get them. However much money flows into your hands it is always prudent to spend wisely and save every penny. Your income will be so that you need not worry about any financial difficulties in the foreseeable future. But that doesn’t mean you can spend lavishly without worrying about your future. Think twice before investing your money in risky ventures like share marketing and such. Though initially it might look promising, but more often than not those ventures will end up eating up the principal money itself. This is a good year for public persons, journalists and artists. Especially the entertainment professionals will see many changes for the better. Investing for your family welfare, buying ornaments, jewels, starting a savings account, investing in children plans can be done now. You have the chance to buy a new house or an old one. Students will have a great time at their institutions. They can read and remember well. They can score well in their exams. Scorpio women have a good time ahead. You had suffered silently for many years. Now is the time to rejoice, as God will never forsake you. Your problems at home and work will go away. People in the medical field, spirituality, electrical or electronics, perishable commodities will flourish this year. Those working in fields related to women, beauty, arts and luxury goods especially work out well. For the past few years you had been under constant stress and worry about your children. That time is well past now. Your kids will bring in good name and happiness to you. People in uniform like the police will have a favorable year ahead with promotions in view. Employees will be relieved of onerous work. Those having positions in employment associations will become popular. The New Year brings in many positive changes to your life. We do not foresee dangerous or bad afflictions for you this year.